Water sports in Santa Marta have become increasingly popular. 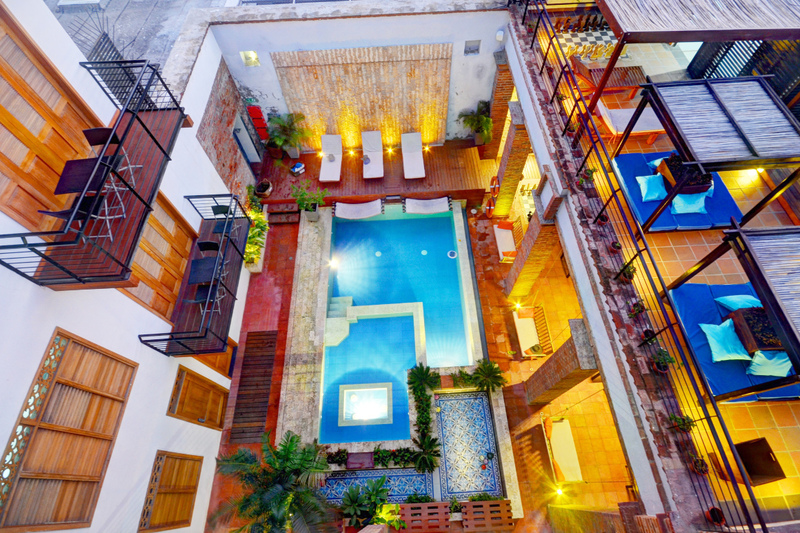 From Scuba diving in Santa Marta beaches to lounging in our pool, we've got you covered. 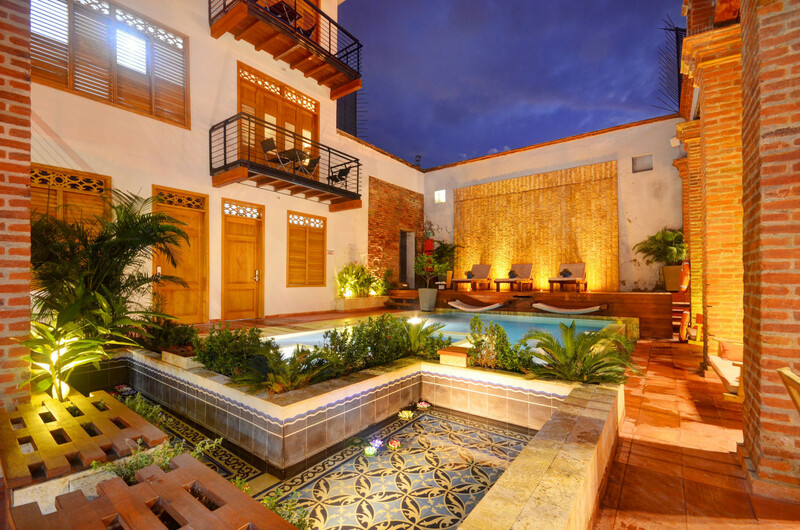 We hope you brought your bathing suit to Santa Marta, Colombia! There are plenty of water sports in and around Santa Marta that you can experience while your stay at Hotel Boutique Casa Carolina. Santa Marta can get very hot and humid. Aside from a refreshing cool glass of maracuya (passion fruit), enjoying water sport activities is the best way to cool down and discover the beautiful Caribbean ocean’s delights. Here are some of our suggestions and tips about the water sports in Santa Marta. Go scuba diving! We have mentioned scuba diving in Santa Marta in some of our earlier posts, but it is definitely worth mentioning again. 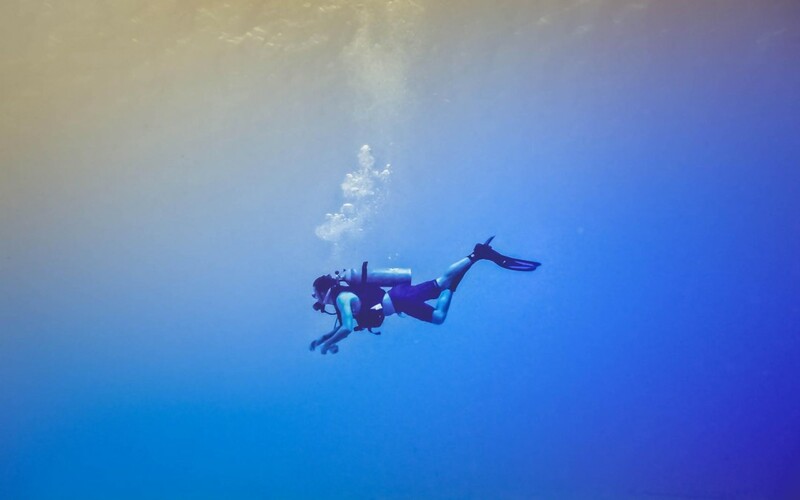 In the last few years scuba diving has increased in popularity in Santa Marta with numerous diving schools to choose from, competitive rates and certification courses that take only a couple of days to complete. Scuba diving in Santa Marta is actually more economical than many other parts of the world, and unlocks a new world of hidden treasures below the Caribbean sea’s surface. The beaches, wrecks and corrals of Santa Marta contain a wide variety of tropical fish, clear and safe waters, offering a diverse and unique scuba diving experience. If you’re looking for a scuba diving school in Santa Marta feel free to contact us. We’ll help you find the right one. “Surf city, here we come”! Okay so when you think of surfing, Colombia does not come first to mind. 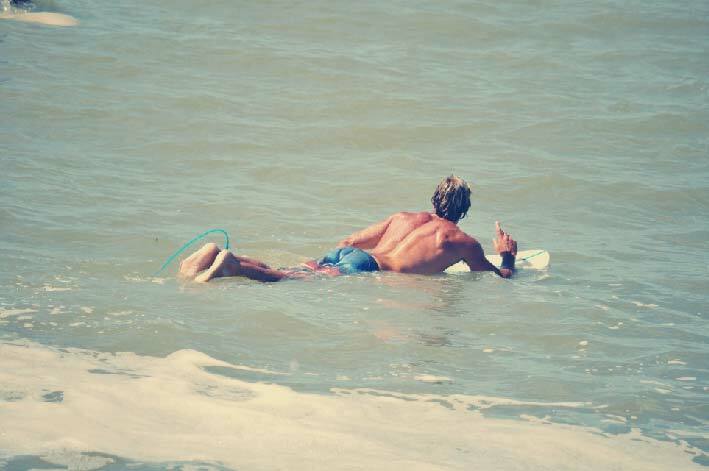 However, the surf here in Santa Marta is fun and great for beginners. The surf can pick up during a swell sometimes reaching 8 feet high (faces). Much like there are scuba schools, there are plenty of surfing schools close to Santa Marta, offering surf board rental, and beginners classes. Surfing has become another enjoyable water sport in Santa Marta for locals and tourists. Head out to the beach, enjoy the surf and catch some waves till sun down. Another fun water sport in Santa Marta is fishing. To many, fishing may sound a little boring, but in choppy seas and with big fish on offer, it can be as exhilarating as any other sport. Santa Marta and Taganga lie on the Caribbean Coast and it is the perfect place to learn how to fish. The port at Taganga is a good place to start. Many little local fishing boats head out from shore daily and cast their lines or throw out their nets to reap the rewards. When in Taganga you can ask some of the fisherman if you can tag along with them for the day. Most of the time they will say yes. Fishing with the local fisherman is a pretty amazing way to experience the ocean. At Hotel Boutique Casa Carolina we have our own boat and offer tours to exclusive beaches and the opportunity for fishing. Contact us to get more information on our private boat service and group tours. 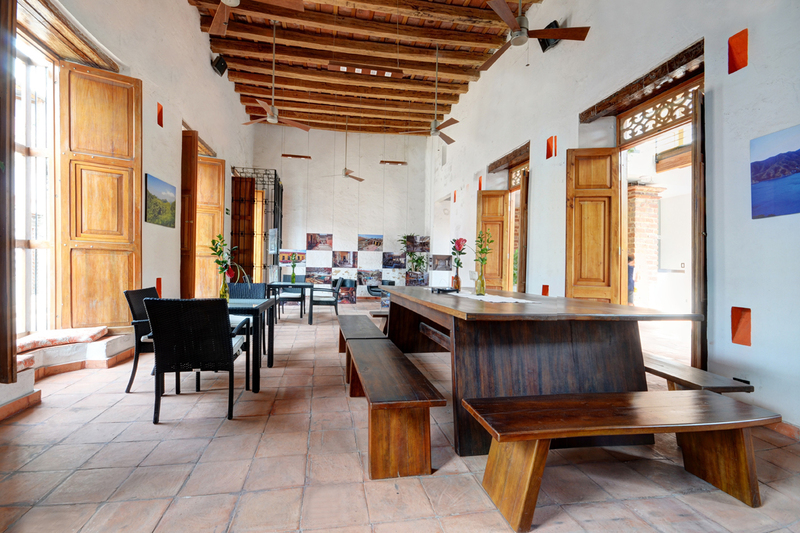 While not right in Santa Marta, just two hours away from Hotel Boutique Casa Carolina are some of the Caribbean’s best beginner and most challenging expert windsurf and kitesurf conditions. 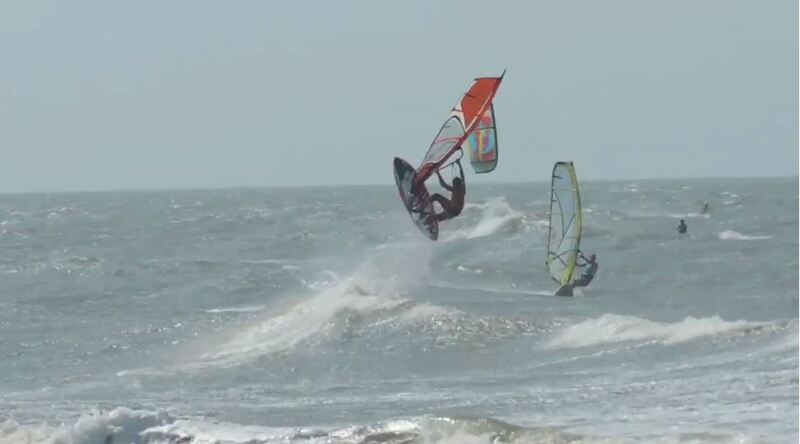 At Puerto Velero (http://www.nauticavelero.com), just next to Barranquilla, you can find anything from 10 to 30 knot winds, with great wavesailing and flatwater conditions, ideal for learning up to expert. Our personal friend Carlos, the owner of Nautica Velero, has a fully equipped windsurf and kitesurf school, with modern equipment and qualified instructors, as well as rooms and a restaurant. The beach offers sheltered and shallow waters for learning in one huge uncrowded bay, with challenging beach-break wave conditions on the outside of the bay. There are numerous downwind possibilities for kiters all the way from Barranquilla to Cartagena. 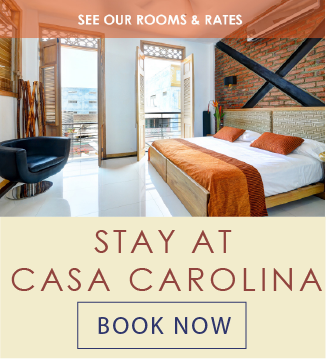 Get in touch with us for more details, Hotel Boutique Casa Carolina’s staff are there most weekends in the windy season (December to August). Santa Marta’s International Marina has stand up paddle boards and sea kayaks for rental, just a ten minute walk from Hotel Boutique Casa Carolina. Enjoy a different view of the most beautiful bay in Latin America, as Santa Marta is known. 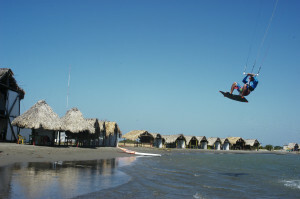 Experience the amazing water sports in and around Santa Marta while stay at Hotel Boutique Casa Carolina. 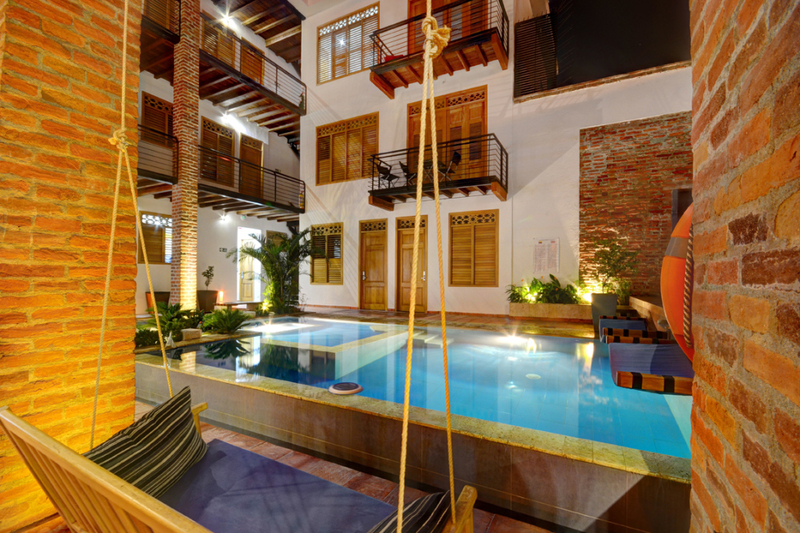 For lazy days in the water, choose from our pool and jacuzzi! 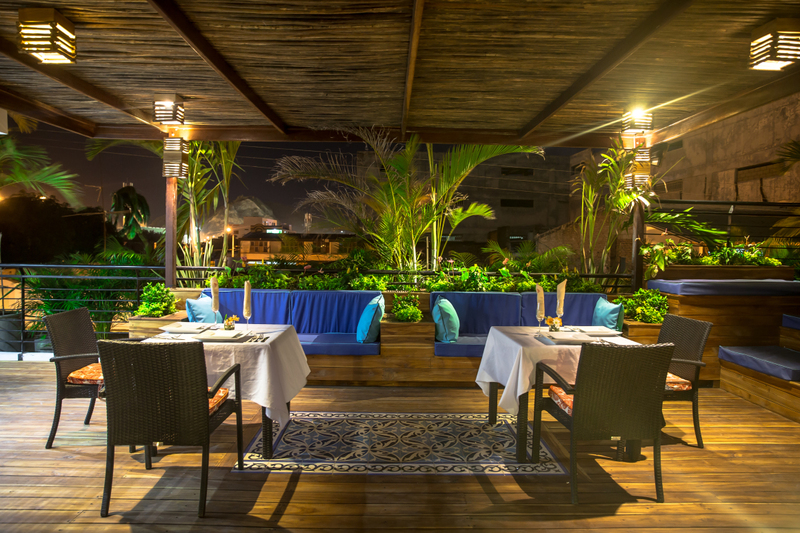 Our relaxing lounge atmosphere is ideal for taking in easy on one of several sun terraces and enjoying gourmet food at our on-site restaurante, Eli’s. Enjoy a sunset over the ocean with your favorite cocktail at our rooftop jacuzzi. Contact Hotel Boutique Casa Carolina if you would like more information about water sports in Santa Marta or about out hotel in Santa Marta.